Community Views: What Does the Term “Palliative Care” Mean? The patients, healthcare providers, and caregivers in our health union PD community have the same misunderstandings about palliative care that we see elsewhere in the healthcare community. Our 2018 Parkinson’s Disease In America survey shows limited knowledge of palliative care, and even when people have heard of it, they often confuse it with end-of-life (or hospice) care. Results of our survey show that while roughly half of our respondents have heard of palliative care (51%), only 2% of patients have accessed it, and only 1% have asked a healthcare provider about it. A mere 7% of our respondents have ever been offered information on palliative care by healthcare providers. And a full 92% have never discussed it at all. Typical responses to our question “What does palliative care mean to you?” show confusion with end-of-life care, just like we see in the rest of the healthcare community. In fact, palliative care can begin from the moment of diagnosis. It simply refers to care that helps patients and their caregivers manage better and feel more comfortable during a serious illness.3 This can include helping patients handle the challenges of daily life, relieving troublesome symptoms like depression and sleep disturbances, and planning for disease progression. Studies show that palliative care can help increase survival time and enhance quality of life for people living with serious illness.3 It is a shame that so many people fail to access its benefits because of a mistaken association with death and dying. When do you start palliative care? Palliative care can begin as early as diagnosis. It can then continue throughout the course of treatment and illness, alongside more traditional medical treatments intended to cure disease or relieve symptoms. As your illness progresses, the nature of your palliative care changes. 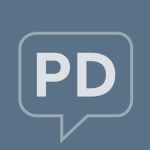 How can palliative care help with PD? Given that Parkinson’s is a long-term degenerative disease, people with this illness can benefit from the additional support that palliative care provides, beginning with diagnosis through late-stage disease. It can often help just to talk over decisions with experts who understand what is happening and how to plan for the future. How can you access palliative care? What’s a good way to ask your healthcare provider? I am having trouble sleeping. How can I get help? It is hard to handle day-to-day tasks with my physical limitations. Is there therapy that can help? I feel overwhelmed and alone. Are there resources to help my family and me cope? What can I expect as my disease progresses? What should I be thinking about so my family can manage better? How can I relieve some of the stress on my family and me as we navigate the challenges of this illness? Canadian Medical Association Journal. Palliative care viewed as a stigma, despite improving quality of life: Study indicates education, rebranding could help spread benefits. ScienceDaily. ScienceDaily, 18 April 2016. https://www.sciencedaily.com/releases/2016/04/160418130640.htm Accessed July 8, 2018. What is palliative care? Medline Plus. US National Library of Medicine, Bethesda, MD. Updated June 4, 2018. https://medlineplus.gov/ency/patientinstructions/000536.htm Accessed July 8, 2018. Maurie Markman, Changing the Conversation: Palliative Care Does Not Necessarily Mean End-of-Life Care. Medscape. Published May 20, 2016. https://www.medscape.com/viewarticle/863333. Accessed July 8, 2018. Parkinson’s Disease and Palliative Care. Center to Advance Palliative Care. 2018. https://getpalliativecare.org/whatis/disease-types/parkinsons-disease-palliative-care/ Accessed July 8, 2018.